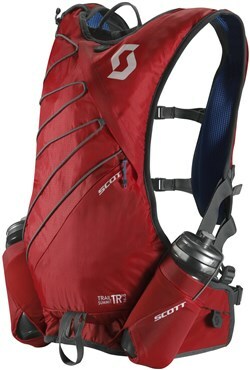 The SCOTT Trail Pack Summit TR' 16.0 Pack is your perfect companion on challenging long-distance trail runs. The pack provides two preformed, fast access waterbottle cases with a bottle fix lacing system to keep you hydrated while out on longer adventures. 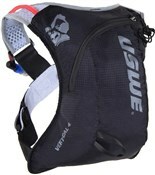 The wide shoulderstrap harness construction offers a perfect fit in the chest area and provides plenty of space for your nutrition and gear. The new mesh fabric creates small air channels that allow for a high breathability and keep you fresh throughout your run.